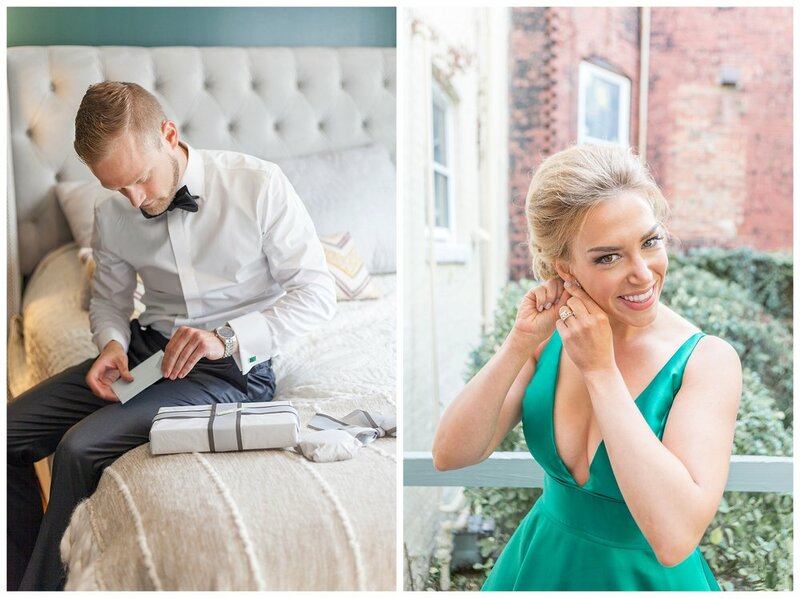 Meaghan and Dave had the perfect wedding that suited them as a couple. 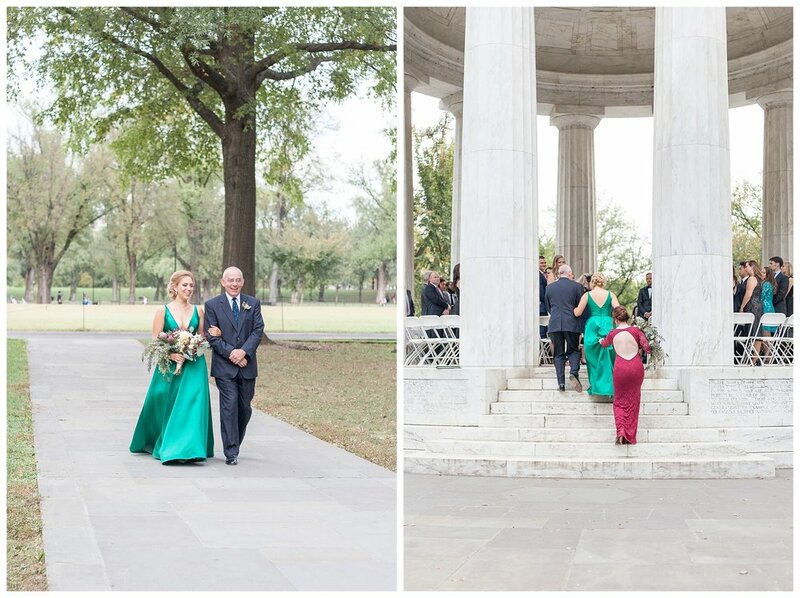 Having been to their fair share of weddings, these two knew exactly what to prioritize: family, an authentic ceremony and a good time. 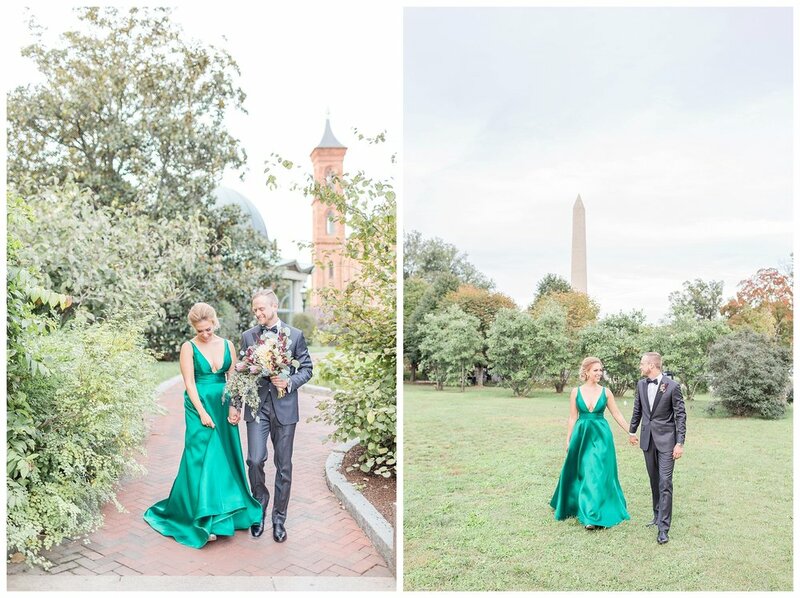 Meg & Dave tied the knot on October 21st in an intimate DC service under the dome of the DC War Memorial. 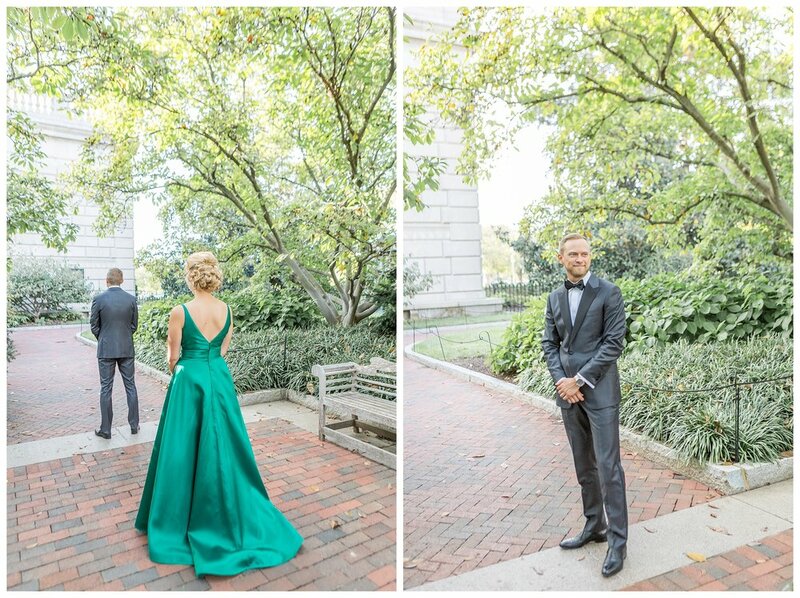 They wanted to keep everything about their wedding simple. 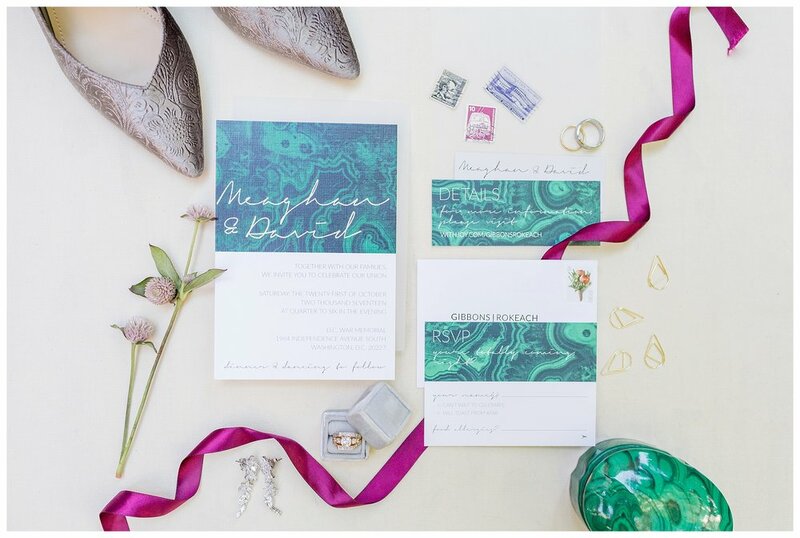 This one of a kind wedding included a family only wedding party with dresses all women felt comfortable in (the bride wore green and the mother of the groom wore white), blooms & invitations designed by the bride and pizza for dinner! 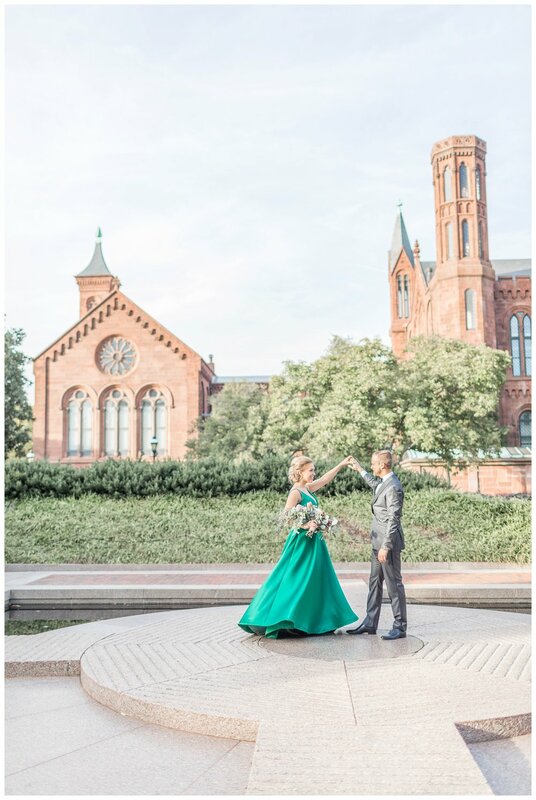 We snapped all of their portraits in the Enid A Haupt Garden behind the Smithsonian Castle before walking to their ceremony site. 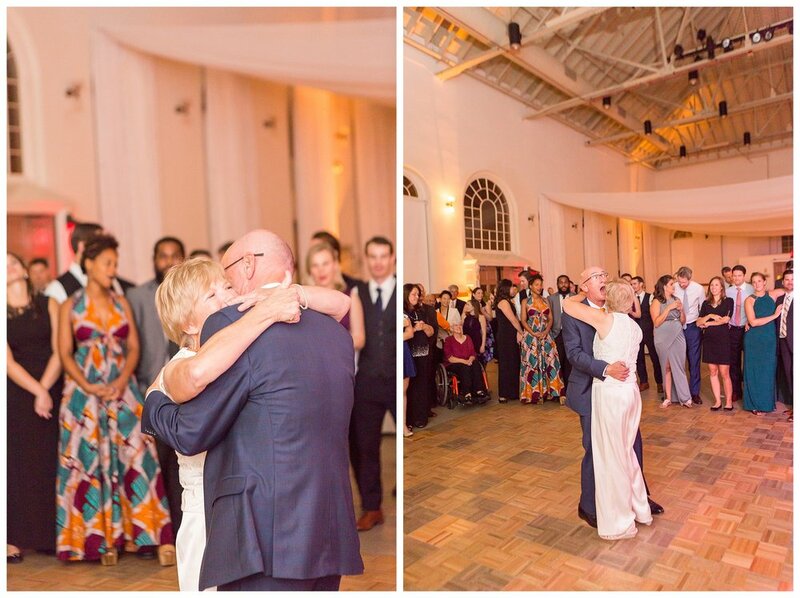 During the ceremony, Meaghan and David spoke directly to each of their parents and siblings to thank them for their constant love and support. Their rings were tied around a maroon ribbon and touched by each member of their families. 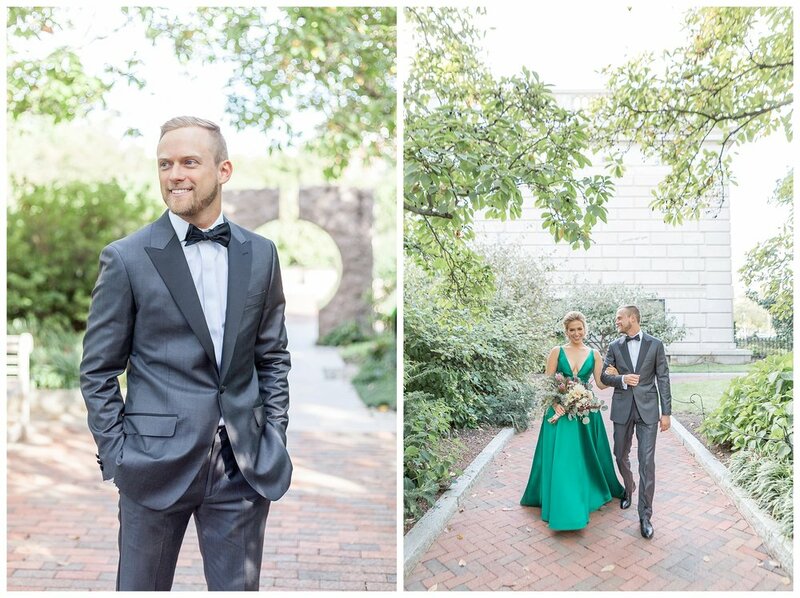 A close friend not only pronounced them husband and wife but serenaded them and sang their first song right where they shared their first kiss as a married couple. 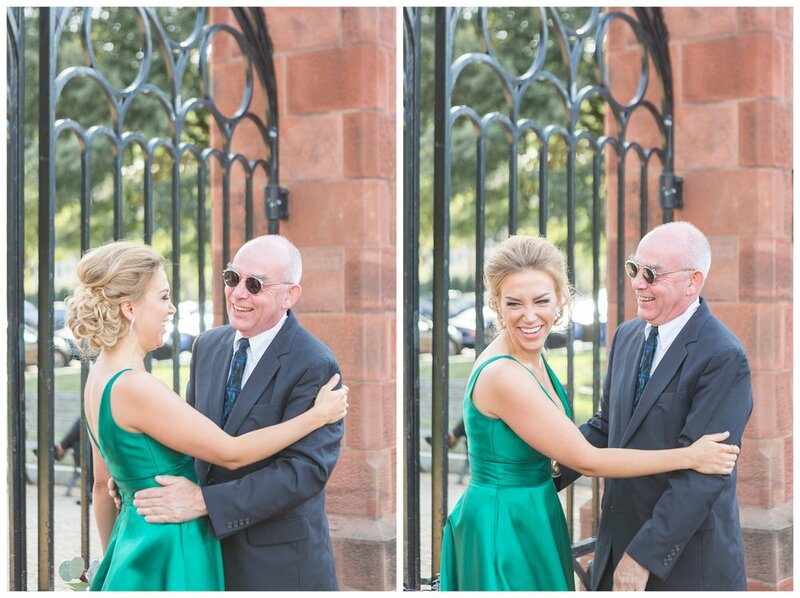 In true Rokeach style, typical wedding reception activities were kept to a minimum. 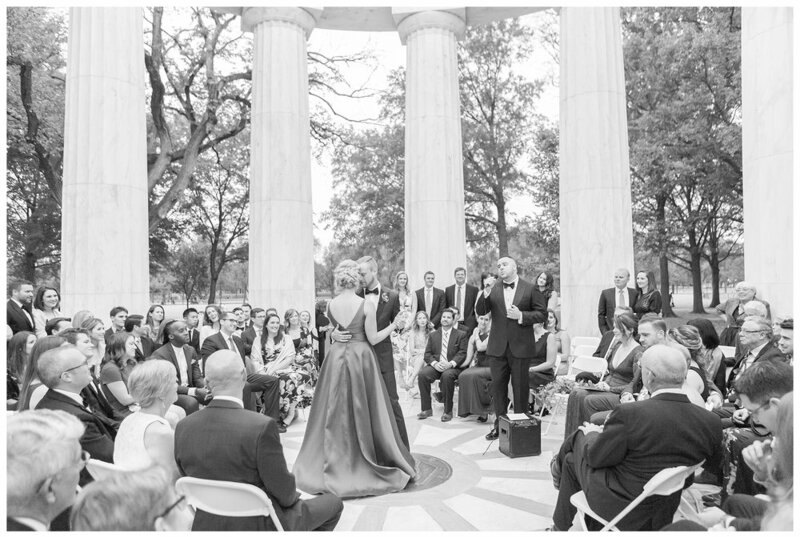 No bouquets were thrown, no cake was cut or served but they did surprise all of their guests by having each of their friends' wedding songs play for about 20 seconds as their married couple friends danced to their own wedding song. 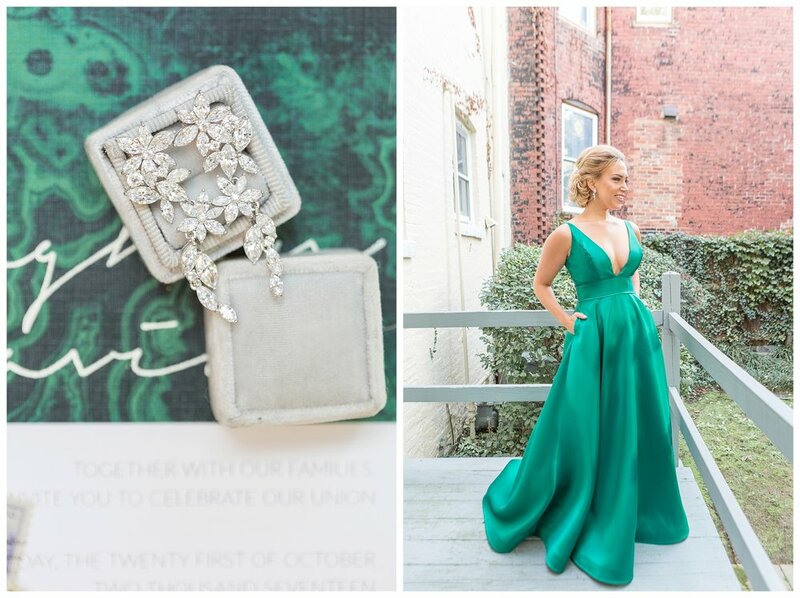 The couple now shares their new home just minutes away from this memory.